Companies are facing constant challenges as the process of manufacturing is becoming more globalised, and the needs of the consumers are constantly changing. They are demanding better quality and economical products. Products now have shorter life-cycles, and there is a constant need to launch newer models, achieve a higher degree of customisation is only adding on to the difficulties faced by the cost-stressed manufacturing sector, or maybe its time to use 3D CAD modelling in manufacturing. It is the companies that respond and evolve according to the changes in their business environment, customer demands and requirements, can innovate to incorporate these changes tend to be much successful, profitable compared to companies who do not evolve. 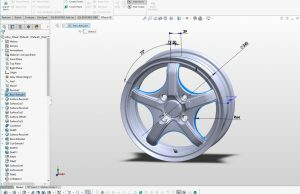 CAD Design is proving to a solution for the constant need to innovate and come up with newer products constantly for manufacturing businesses. Manufacturers can achieve a competitive edge over its competitors by incorporating 3D CAD modelling within its designing, prototyping and manufacturing process and adopt concurrent engineering practices. Concurrent engineering is a process which allows the engineering and manufacturing process to take place almost instantaneously using shared data from 3D CAD models. For instance, manufacturing companies can develop and utilise virtual prototypes using 3D CAD Models, as a result of this eliminating the required of relying on the time-consuming process of constantly redoing and remaking physical prototypes till the engineering gets it right. Three are mainly 3-types of 3D CAD Models which can be used in the process of product design and concurrent engineering. 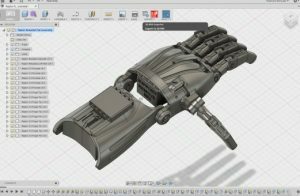 While, the 3D wireframe might not be widely used in CAD Design these days, and it is quite similar to 2D CAD design systems. Anyone who has used 2D CAD applications is aware that every line needs to be manually added to the drawing, the end product does not have any mass properties associated with it, and the end product cannot have functions and features added to it directly, as in the case of other 3D CAD modelling application. It is mainly used for making drawing views for final engineering. Similar to 3D wireframe, 3D dumb solids are also not widely used for 3D scanning services these days. These are created in a similar way involving manipulating on real-world objects. These are basic 3-D geometric forms like cylinders, spheres, prisms etc. These 3-dimensional figures are added and subtracted to create real-world objects. It is a solid 3D CAD modelling process requiring the operator to utilise ‘design intent’. The concept of design intent merely means that the designer takes the purpose of creating a design into account while creating 3D CAD Models. This helps the design to dictate the relationship between the various features and components in parts and part assemblies. If the location of a specific feature is intended to be in the centre of the design, the technician is required to local the same from the centre of the model, similar to a real-life scenario. 3D Parametric requires the designer to consider the consequences of their actions as the features and the objects are adjustable. Just like in a real-life scenario, moving a component by even a centimetre can have an adverse impact on other features, based on the original design. The parametric 3D CAD Modelling allows designers to create a virtual image or model of the design which can be manipulated, rotated, retrieved and modified in multiple ways an at any time. The growth of 3D CAD design technology and software have opened a wide array of professional and business avenues for drafting contractors and CAD technicians. 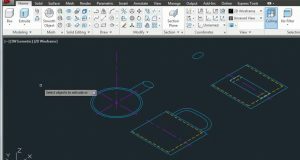 With more and more businesses implementing CAD design within manufacturing and product design, the demand of 3D CAD drafter on contract is bound to rise.